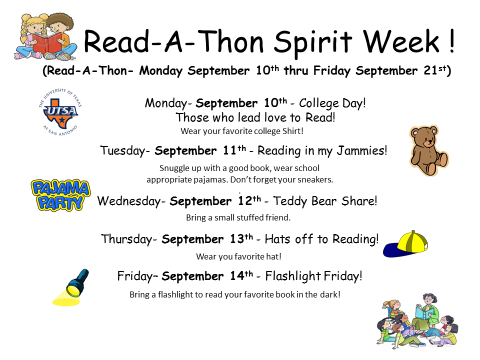 Read-A-Thon Spirit Week starts Monday! The annual Daulton Read-A-Thon spirit week starts Monday, Sept. 10th. Everyday next week will be a different theme. Let's make Reading fun! !